I'm always late with my posts, terrible! 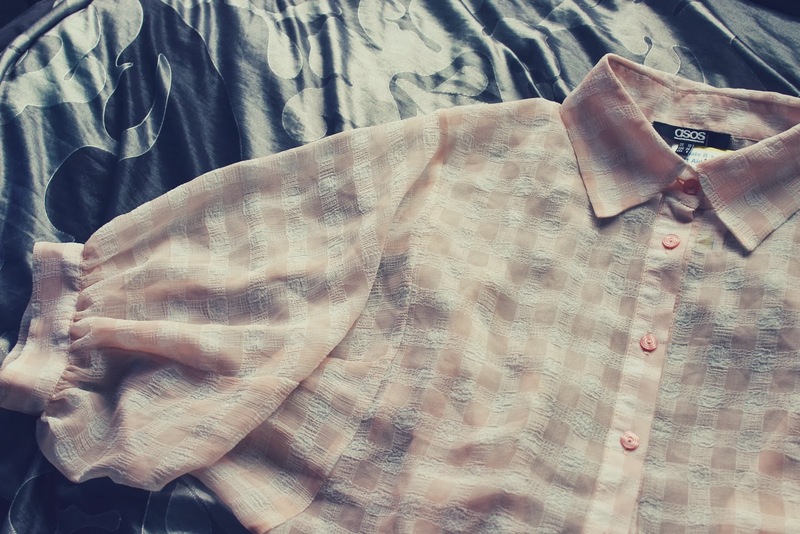 But last week, me and a friend went on a little charity shop hunt. Every so often we love going to as many charity shops as possible in the hope we find lots of things. I was very impressed with my outcome, some great finds in different stores but also due to holding back I missed out on some other great finds. But I wanted to share with you the things I found. Now not everything came from charity shops but they we're a bargain which meant of course they could be included too. 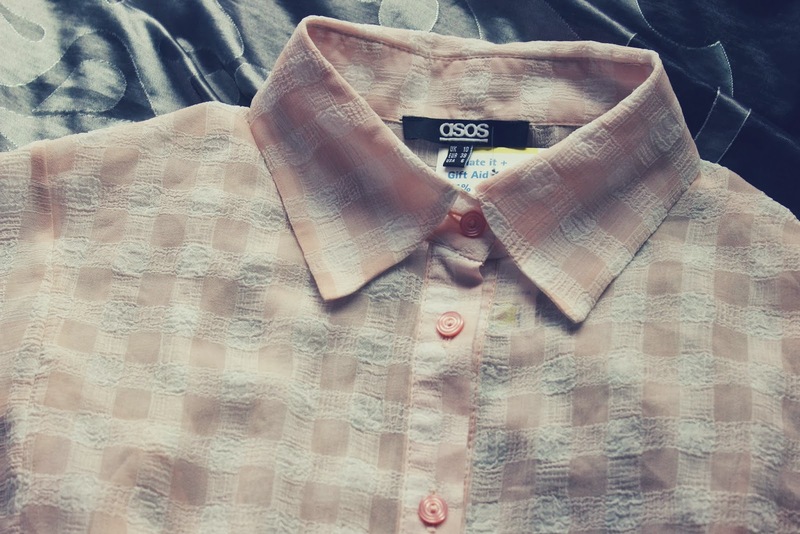 My first find was this Asos button up shirt, actually Ellie found it and we both tried it on. I've yet to find the best way to wear it as it's a very transparent shirt. I adore the colour, the collar and the bat-winged sleeves and what's even better an asos products was only £5. awesome!! 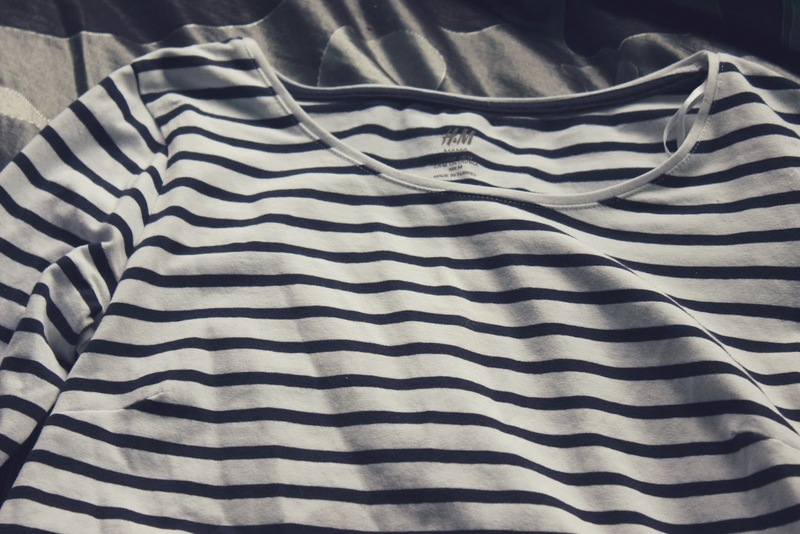 In the same shop I found a striped body-con dress. I'd been looking one for a while now and finding one for £4 was perfect! It fits great and just what I wanted, so I was happy with this purchase alone. It's quarter length sleeves and short ruffled section along the side of the dress. I think this will make a simple outfit and is perfect for those days when I'm a little too lazy to make an effort. 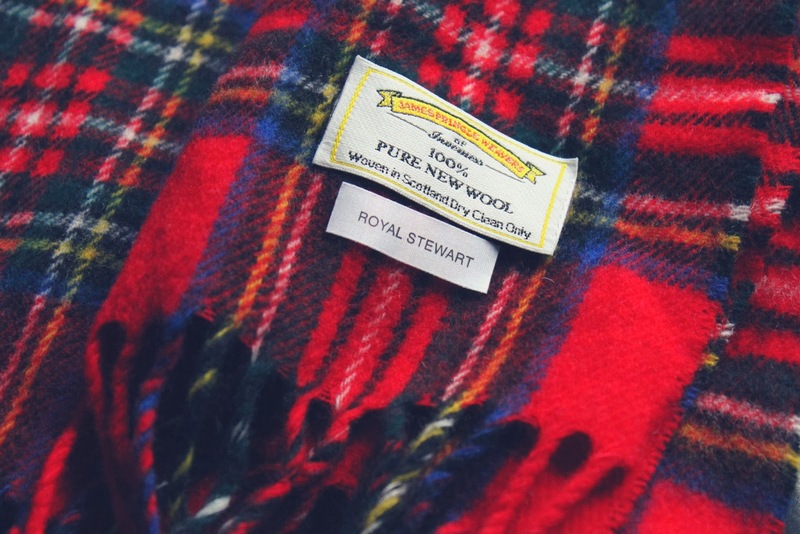 My final charity shop find was this tartan scarf, as these scarves have been popular over the last few months I struggled to find this in the shops and we extremely pleased when I found this in a charity shop for £1.50. I wish it was a little longer but I love the fact its a James Pringle Weavers scarf and I've hardly stopped wearing it since I brought it! Once we'd been through the charity shops,we headed into town to get some new piercings like we agreed at the beginning of the year! 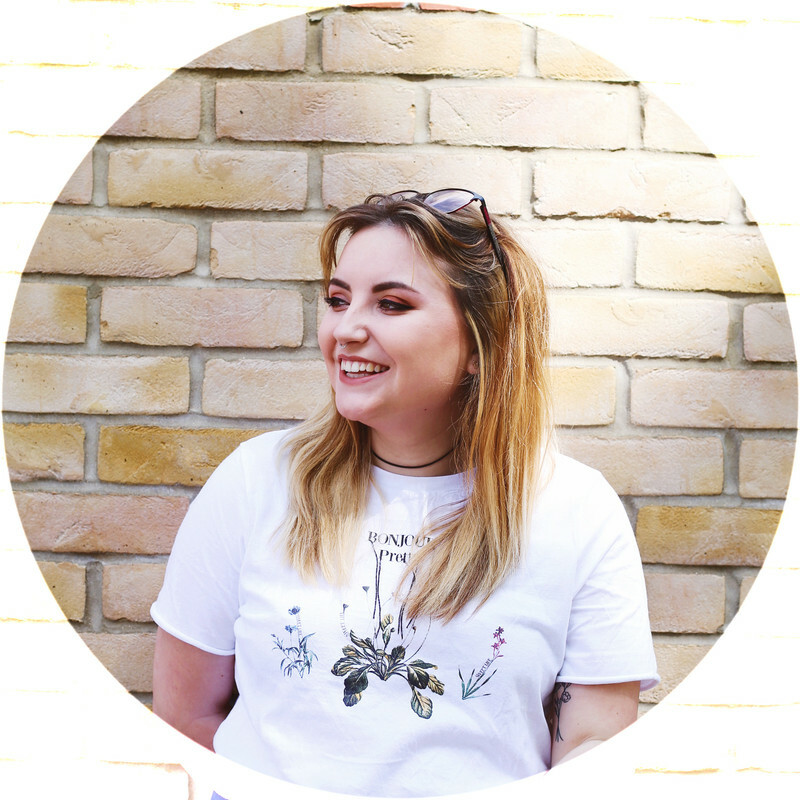 But every time you step foot into Oasis Market in Birmingham you find yourself caught looking at the vintage clothing and amazing jewellery straight away. 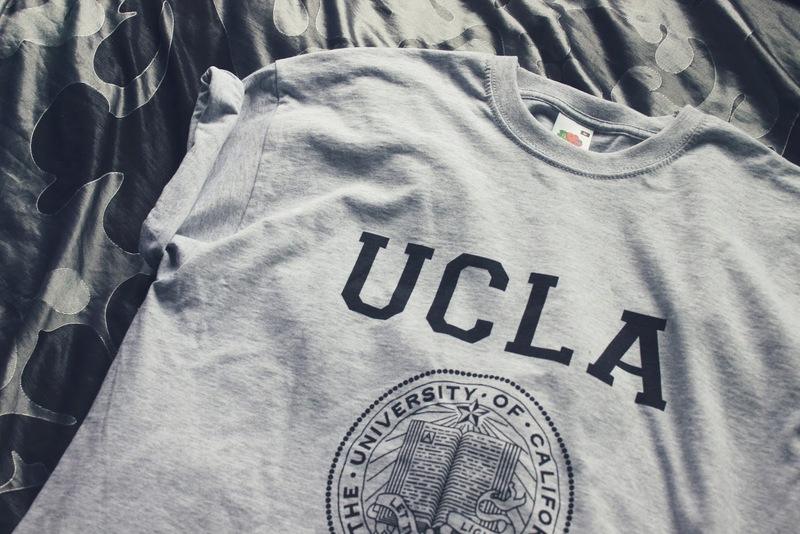 The first thing I found was the UCLA t-shirt, I'm a little obsessed with America and always have been, so when I found that this t-shirt was only £5 I knew as long as it fit I was buying it! I can't wait to wear this again on lazy days and find ways of dressing it up so I can wear it as often as possible. 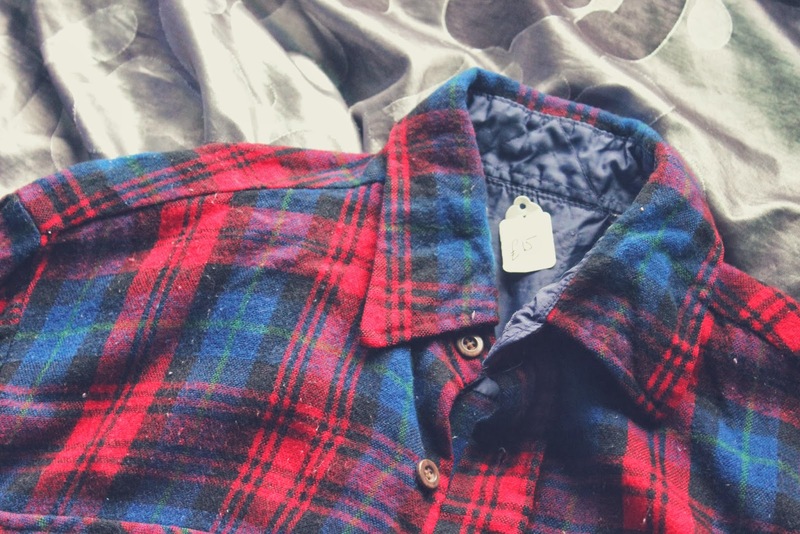 The final product I found that day was this red/blue oversized flannel shirt. I've always loved my checked shirts but never really found much to wear this them and I've been looking for one of these colours for years and after a failed try on of a similar one in a charity shop only 5 minutes before I just couldn't resist, this being the most expensive spend of the day and costing me £15 was still pretty impressive. 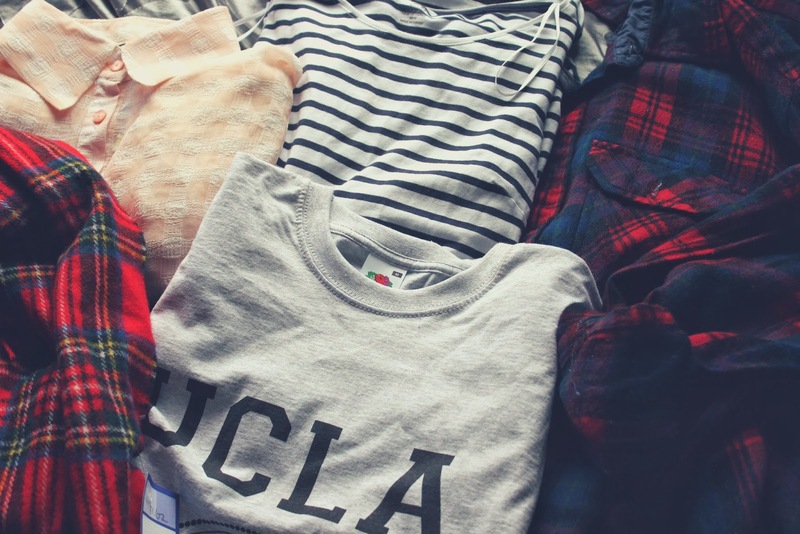 The UCLA and Flannel shirt we're purchases from Harper & Lewis vintage clothing store. The woman who served us was amazing and you can find more of there items on both ebay and asos, which I'm sure you'd all love to have a nose at! You found some amazing bits! I never can find anything I like!! I got a great long blazer from British Heart Foundation today, so I'm a happy girl as well!